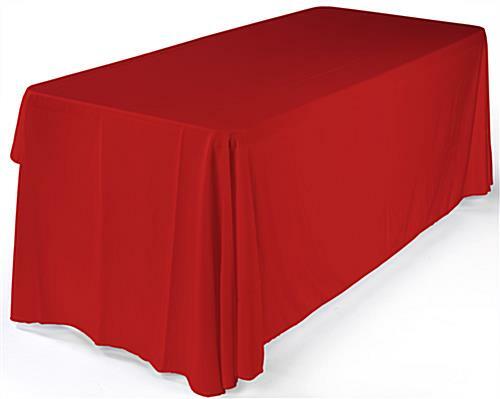 This Linen Table Skirt with Red Finish Comes with a Pop-Up Presentation Tabletop! Purchasing Complete Kits Helps Put Trade Show Vendors' Minds at Ease! Develop a Luxurious Display with this Wholesale Table Skirt! Folding table is easily portable, perfect to be used at trade shows & conventions. 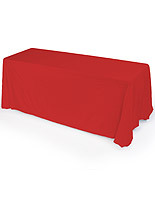 3-Sided table cover is made of flame retardant polyester fabric for safety. Durable fabric is machine washable/dryable to be easily cleaned. 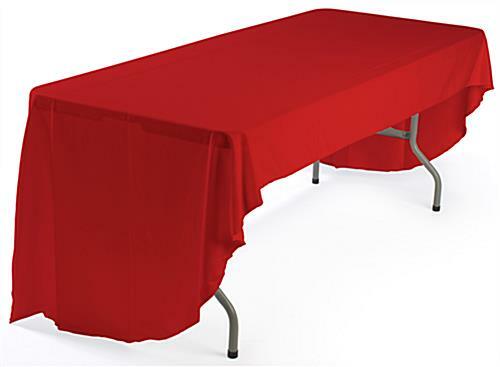 This folding table, also known as a portable trade show setup, includes a red table skirt. The cover is made of red polyester fabric that is durable enough to provide a long-lasting presentation. 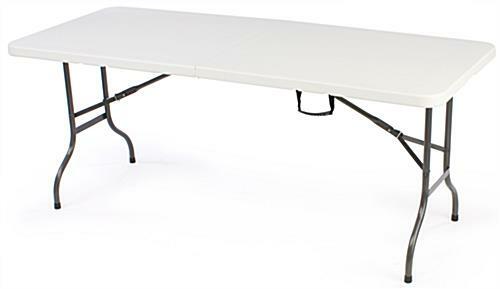 This folding table with table skirt is flame retardant. The portable table and throw covers three sides. The table skirt hangs within 2" for the floor on the front and sides and hangs down 6" along the back. 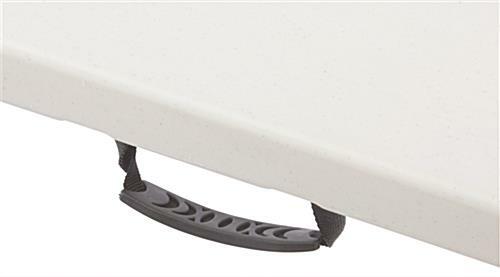 This folding table is machine washable/dryable for easy cleaning when it gets dirty. A portable table, or folding display, can be set-up without the need for tools. This folding table folds up small for easy transport, and has a plastic handle to make carrying the compact table easy. When open, the folding table measures 72-3/8" x 29-1/4" x 30", and when completely collapsed it is a much more manageable 36" x 30" x 3-1/2", easily fitting into a smaller space when in storage. A folding table with table skirt is perfect for use at trade shows, conventions, job fairs, or even retail stores to create a professional looking presentation.